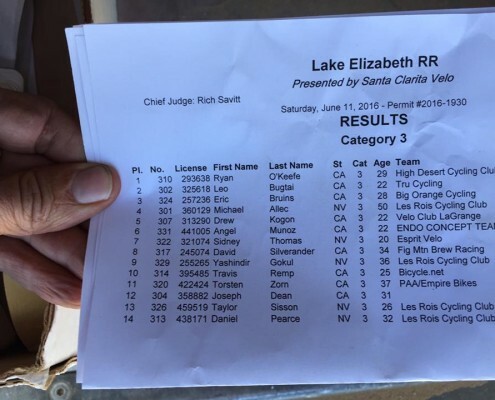 Results from the Lake Elizabeth Road Race in California today. 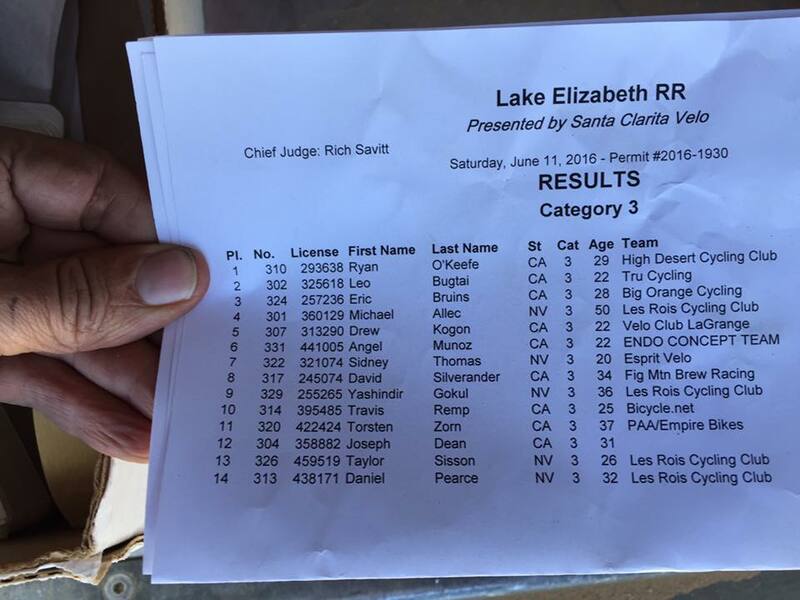 Field of 32 in the Cat 3 whittled down to under 15 finishers by the tough climb and windy conditions. Mike Allec brings home a 4th place finish! Yash Gokul inside the top 10 and Taylor Sisson and Danny Pearce bring up the final finishers. 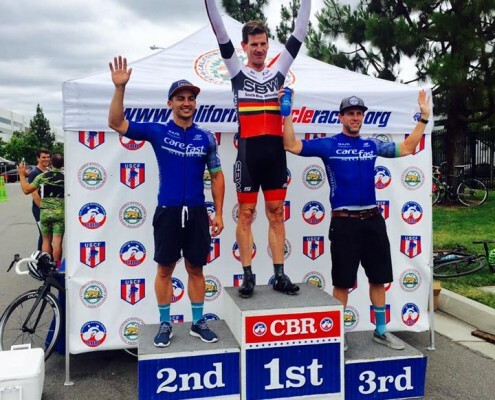 The Boys killin it at CBR today in the Cat 3!! 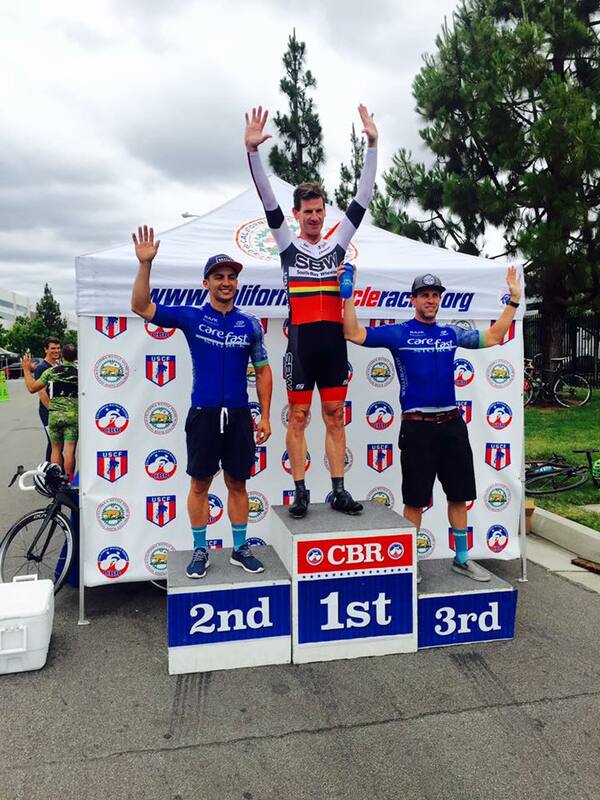 Danny Pearce rolls in 2nd and Jeff Mitchell seals the 3rd!! 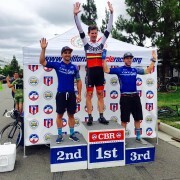 Mike Allec avoided a nasty crash in the 45+ at the final corner and was just outside the top 10 for 13th …. Great weekend for The Plaid Army!! Way to crush it guys!! 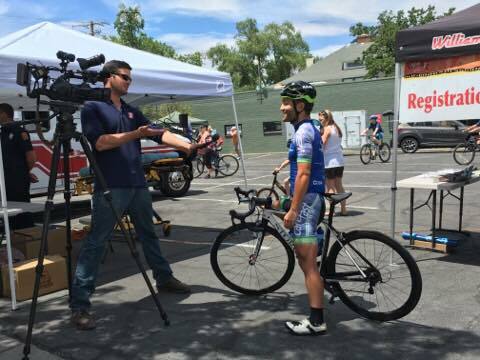 Steven Keltie and Eliiot Grothe were in Reno for The Mighty Tour De Nez. Steven brings comes in just outside the top 10 for an 11th place finish and Elliot Grothe inside the top 20 in the 35+ 123 with a 16th place finish.